It also means that we have a group post where everyone creates one more project to be featured together on the WPlus9 blog. This is my FAVE day of the release week, because I love seeing how different all the designs are while using the same product! 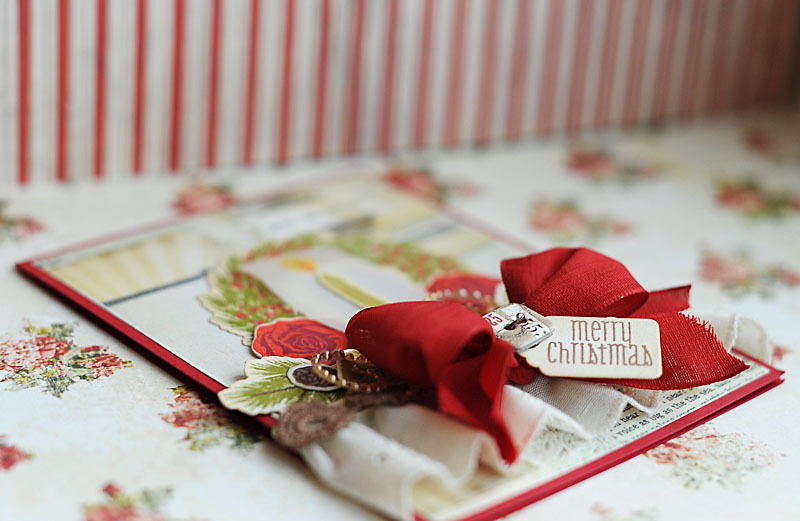 I combined the Coming Up Roses stamp & die set with many of the past Christmas stamp sets from the last release (a full supply list will be below) & created a card full of layers, flowers, & Christmas trim. I really love how it turned out, & I hope that you do too! I used the Mojo Monday #322 sketch as a starting point for my design, & then went on from there. Check it out! 1. 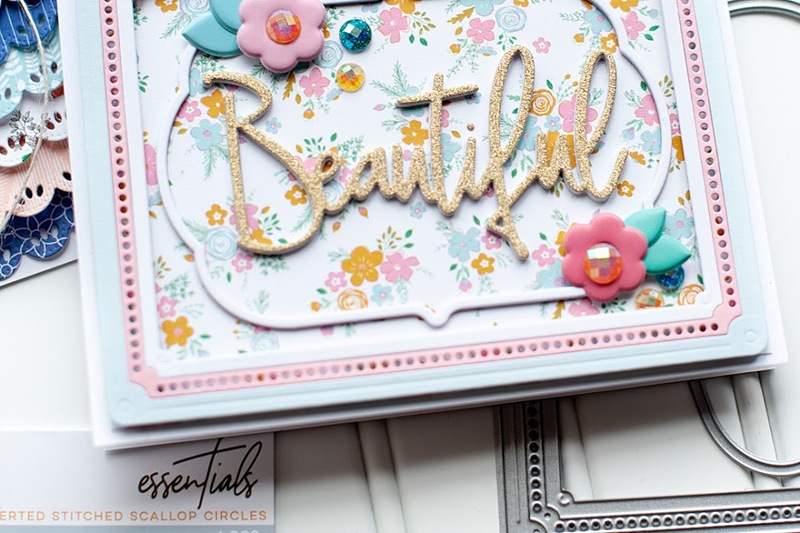 Make A2 card from cupid's bow cardstock. 2. Cut background paper slightly smaller, distress ink the edges & adhere. 3. Wrap cream eyelet lace around the bottom, then top with brown circle trim. 4. 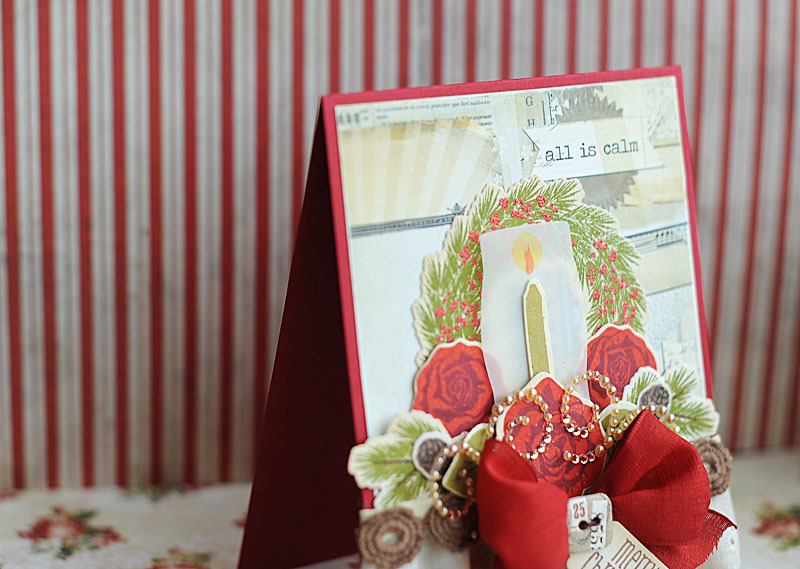 Diecut the tag, wreath, flowers, leaves, pinecones & candle from oatmeal cardstock, then distress ink all the edges. 5. Diecut the candle holder from vellum & distress ink the edges. 6. Stamp the wreath in green, then stamp the berries with versamark. 7. 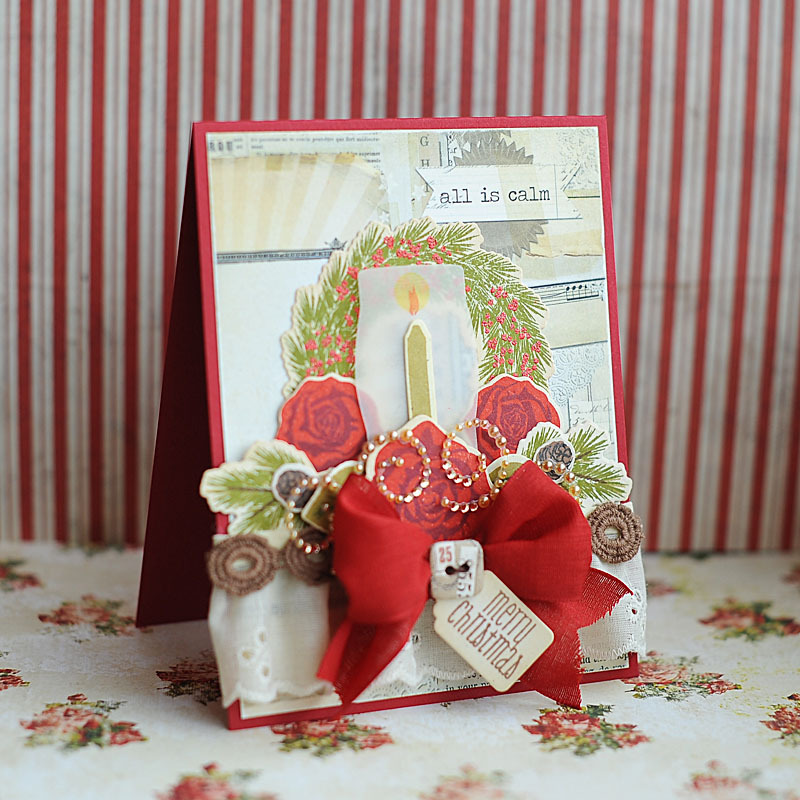 Cover with red glitter embossing powder, then heat set. 8. Stamp the roses, pine boughs, leaves & pinecones as shown. 9. Stamp the candle, adhere it to the vellum candle holder, then stamp the circle & flame to it. 10. 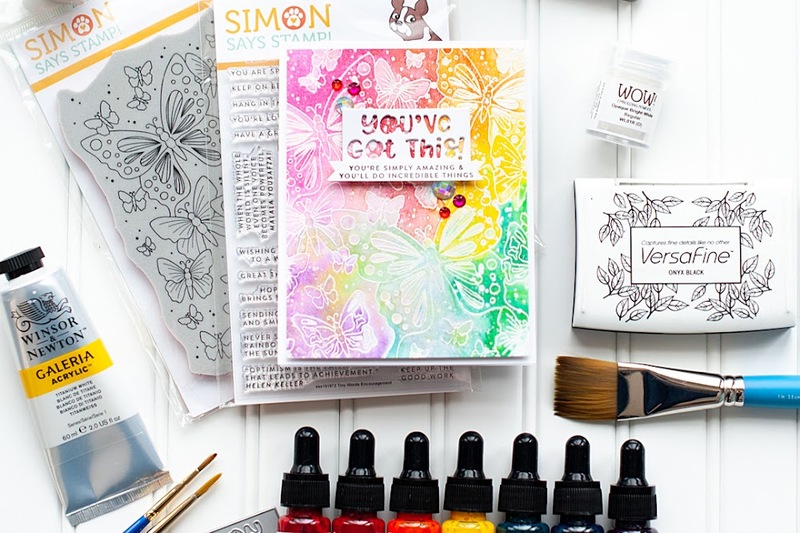 Add all the layers to the middle of the card using hot glue & foam adhesive. 11. Tie a bow from red ribbon, stitch a button to the middle of it & adhere to the middle of the lace. 12. Stamp the sentiment to the tag, then tuck it underneath the button with hot glue. 13. Accent with pearl flourishes to finish. Be sure to check out what the other WPlus9 designers have created as well! They will all be featured on the WPlus9 blog, or you can check them out on their personal blogs as well! 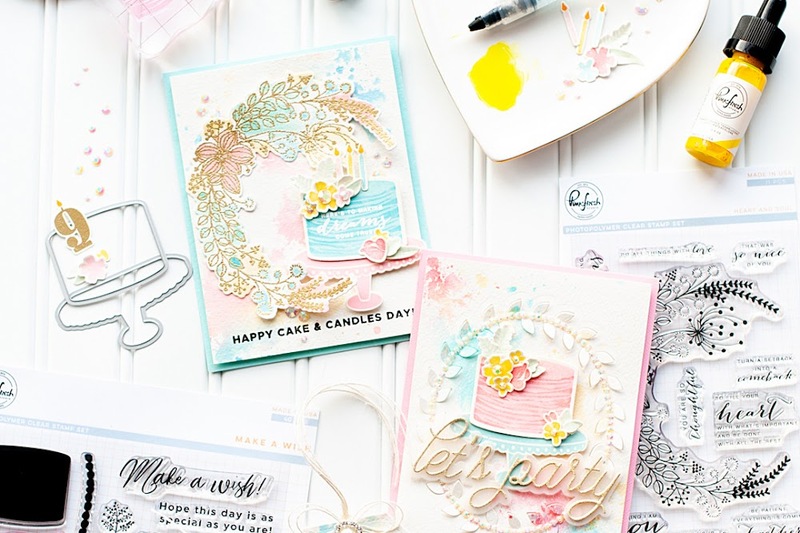 It is so nice to be back creating with my WPlus9 stamps again....I have missed crafting like this so much! My parents & grandma are going to be in town for a week starting Saturday...but I am sure I will have a little bit of time to craft while they are here! So- be sure to check back & see what I have created! Have an awesome day! Such pretty trimmings, Lea! LOVE all those textures! We missed you last month, hun. Hope you're all settled and loving your new home. So pretty! Love the vellum, the bow, the trim, this is a fantastic release!